Friday night we drank till late, at the lodge. Emmie and Mike, two supposedly communist backpackers from the UK, were to leave early on Sunday so instead of struggling on a Sunday morning, we struggled collectively on a Saturday morning instead. 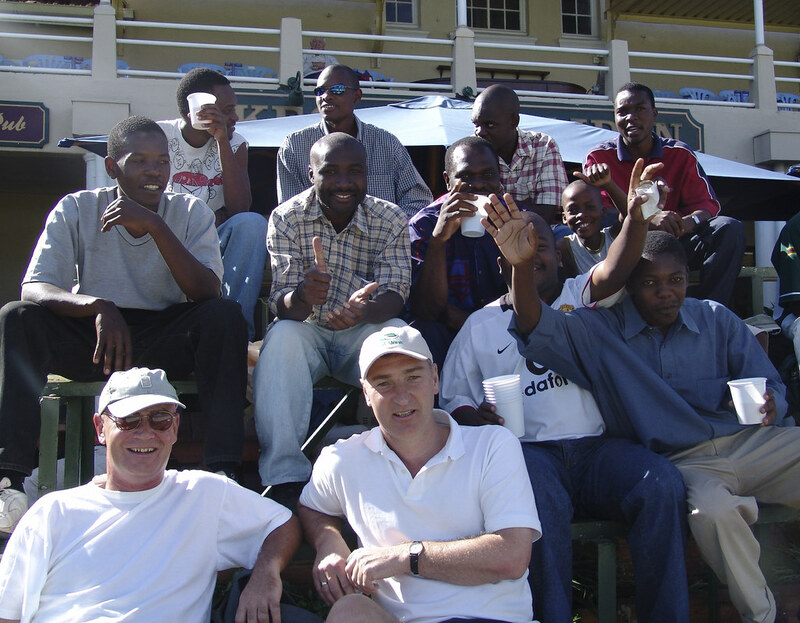 Saturday, Betsy and I walked over to the Harare sports club, were Sri Lanka was trashing Zimbabwe in the first of two test matches (I’m talking cricket here). We arrived around two in the afternoon and paid Z$5000 to get in. Less then fifteen minutes later, Zimbabwe’s resistance had fully broken and the day’s game was over. We opted for the very good food and drinks from the Keg and Maiden, a South African chain of English-style pubs. We walked to the sports club so that I had ample opportunity to take pictures of my first batch of Harare tree signs. More about that later.